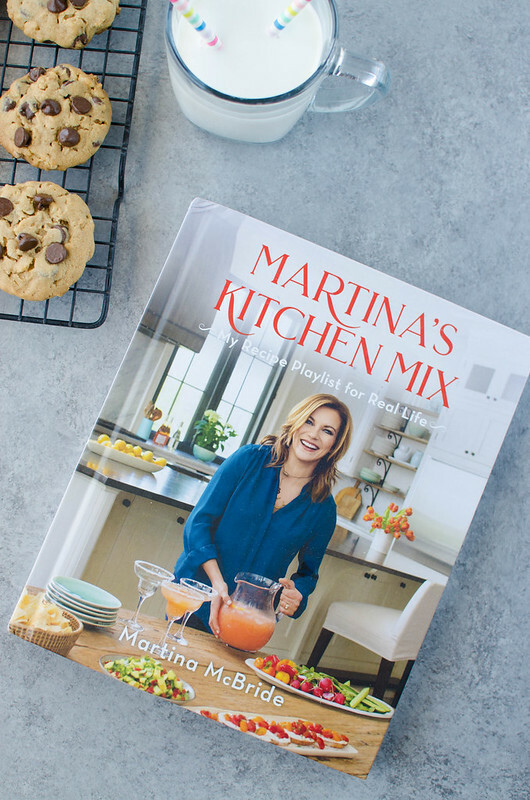 I feel like I’ve been a Martina McBride fan all my life and Independence Day shows up on my Spotify Top Songs list every single year so I had a feeling I would love her cookbook, Martina’s Kitchen Mix. I love her cooking style and I cook kind of the same way. Like, she has a fancy roasted beet salad with goat cheese but also a cake that start with cake mix. Martina also uses really simple ingredients that don’t require a trip to a specialty store which, as someone who lives in a relatively small town in the middle of Texas, I appreciate. She has breakfast recipes, cocktails, salads, soups and sandwiches, main dishes, sides, and desserts. And at the end of the book, she has a playlist of some of her favorite songs and a bunch of different menu ideas. It’s everything you need to host the perfect girls’ night or Sunday brunch. There are so many recipes in Martina’s Kitchen Mix that I plan to make. 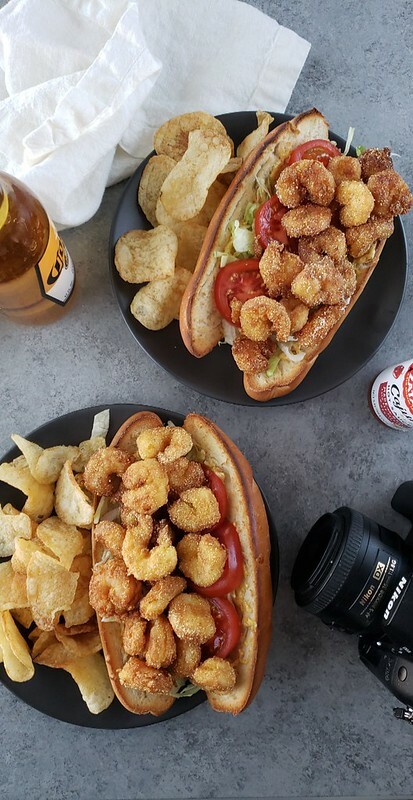 I made the Spicy Shrimp Po Boys a couple weeks ago because it is not easy to find decent po boys where I am. 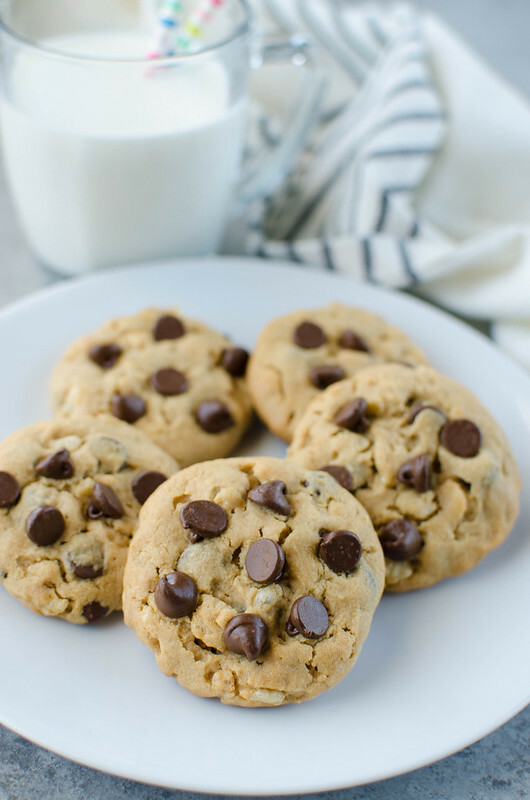 I had planned to share that recipe instead of these cookies (you can see a photo below) but I just didn’t love how my photos turned out. The po boys themselves were delicious, especially with the homemade spicy spread! I’m dying for an excuse to make her Smoked Gouda Pimiento Cheese because I’m obsessed with pimiento cheese and have never thought to use smoked gouda in it. Her cocktails also look incredible and plan to make her Jumby Bay Signature Rum Punch at my first summer get together. I don’t think I ever mentioned it but I bruised my tailbone back in, like, January and literally couldn’t walk or sit or breathe without crying for a couple weeks. But at some point during that time I had made these Peanut Butter Krispie Cookies and then couldn’t stand long enough to photograph them. So this is the second time I’ve made them and zero complaints from anyone in the house. 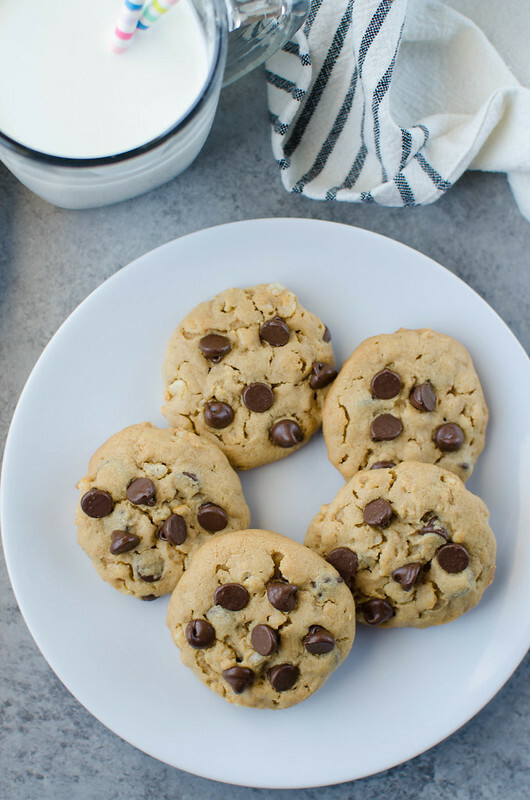 They’re peanut butter cookies made with crunchy peanut butter (important!) 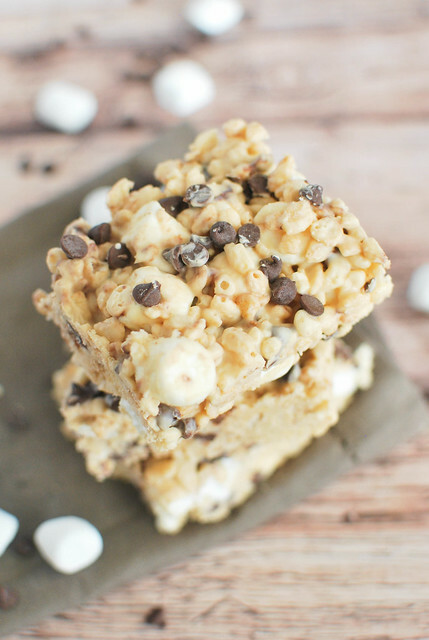 and chocolate chips and then Rice Krispies. 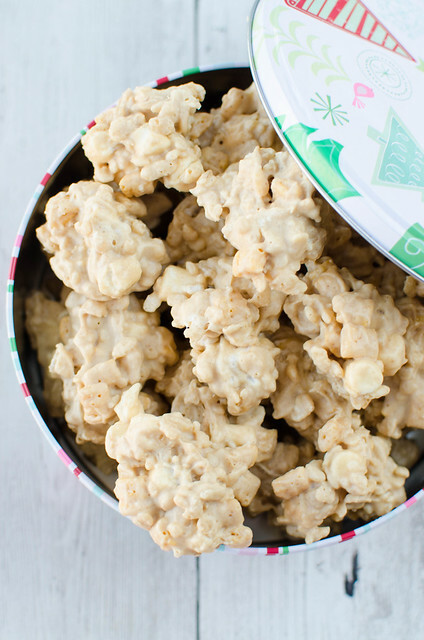 I always do no bake cookies with Rice Krispies but I assumed they would get soggy in a regular cookie. They don’t. They stay crunchy and give the best texture to the cookies and I won’t make peanut butter cookies without them ever again. Peanut Butter Oatmeal Sandwich Cookies – chewy peanut butter oatmeal cookies sandwiched with peanut butter frosting. 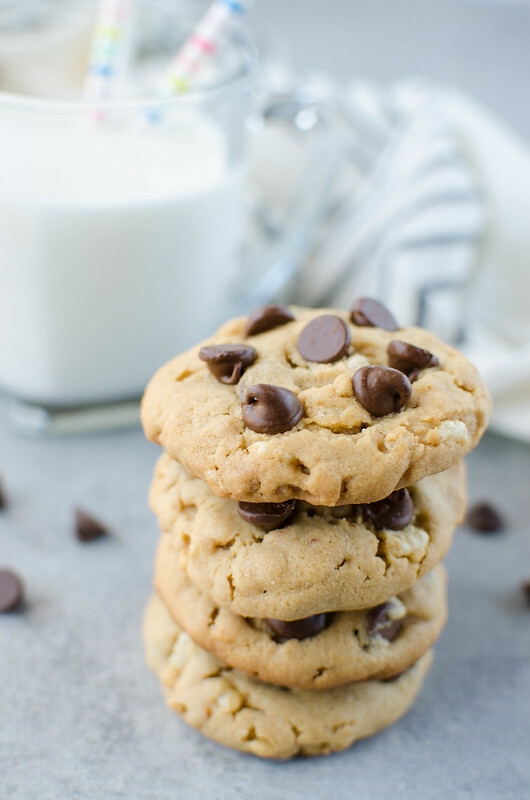 Stuffed Peanut Butter Chocolate Chip Pudding Cookies – pudding mix really is a game changer when it comes to cookies. 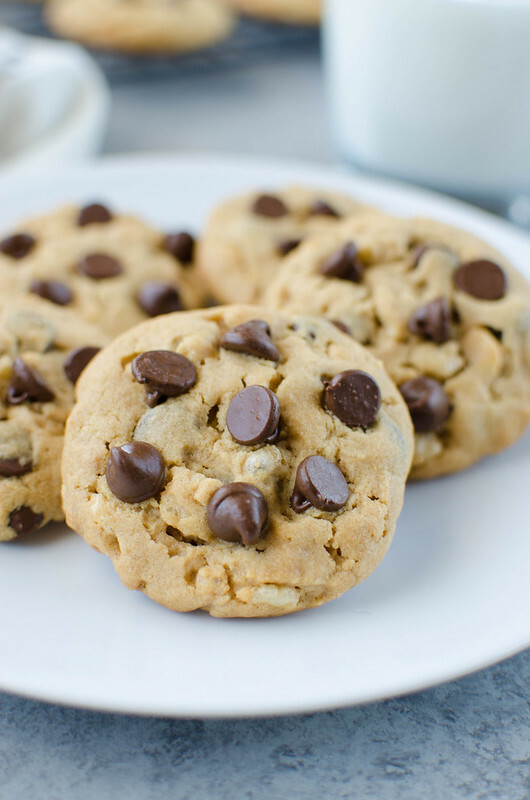 These are soft peanut butter cookies with a peanut butter cup INSIDE. 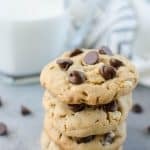 Gluten Free Peanut Butter Chocolate Chip Cookies – gluten free cookies without mixing a bunch of different flours or using an expensive gluten free mix. 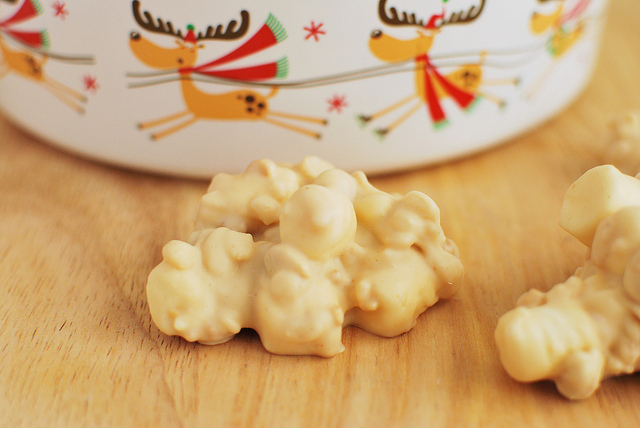 Beat the butter and sugars with a mixer at medium speed until pale and fluffy, about 3 minutes. Add the egg; beat until well blended. Add in the vanilla and peanut butter. Reduce the speed to low, beating until combined. Gradually add the flour mixture, and beat until just combined. Stir in the cereal and chocolate chips. Shape the dough into 1 1/2-inch balls and place 1 inch apart on parchment-lined baknig sheets. Flatten the balls gently with a spatula or the tines of a fork. Bake the cookies, rotating the baking sheets halfway through, until centers are firm and edgesare lightly browned, about 12 minutes. Transfer the cookies to a wire rack to cool completely.